So the weekend was a bit higgeldy-piggeldy, with the Daylight Savings sleep trauma (ergh), visitors and life stuff, but exciting things are happening here. 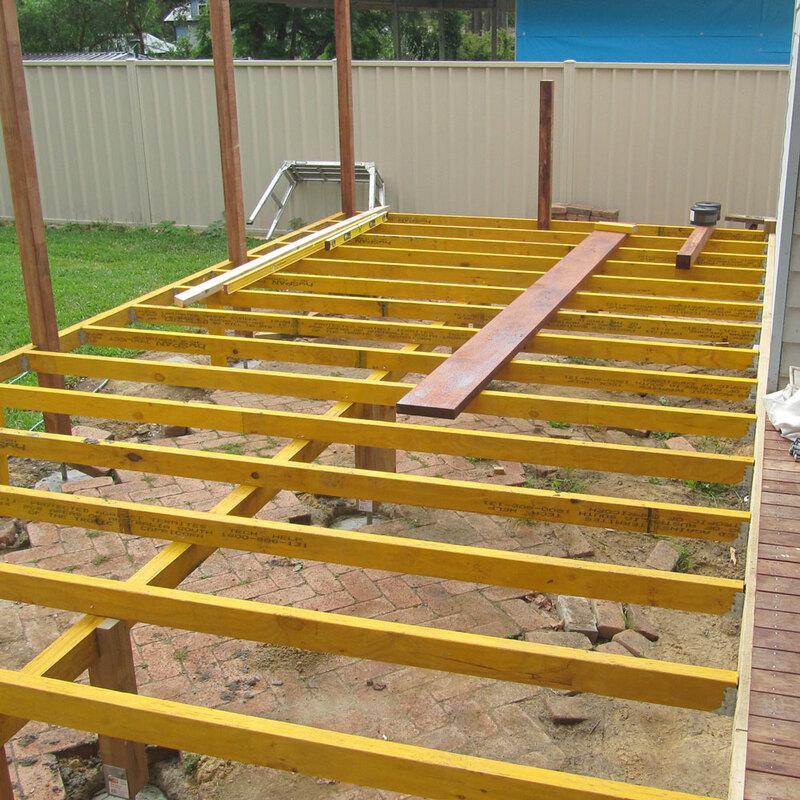 The deck is coming along, and we hope that it will be finished in the next week or so. 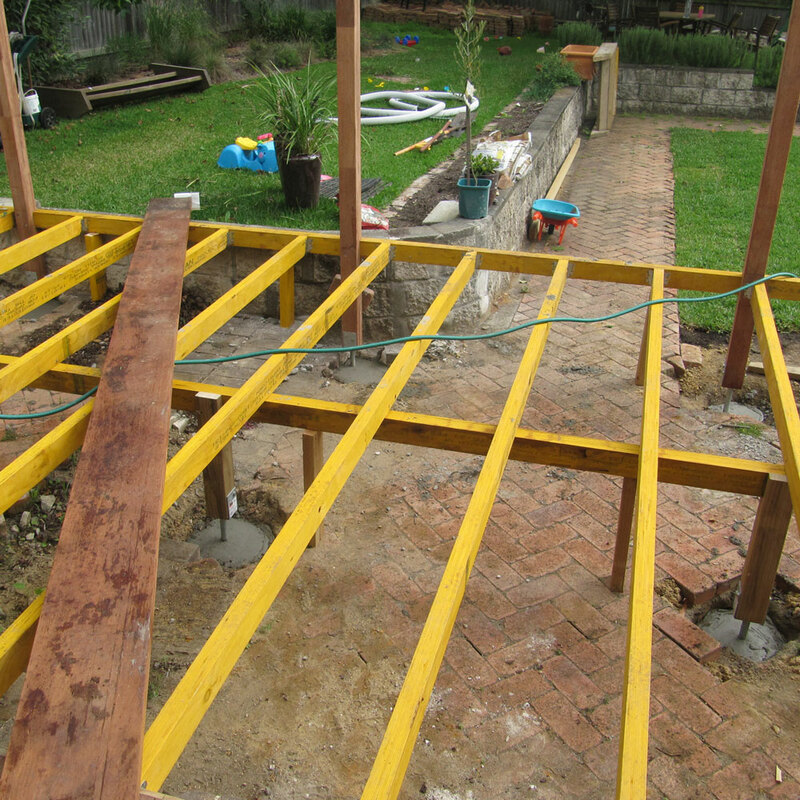 The roof will go on at a later stage, when money and energy allow. I also got stuck into the painting on Sunday and we've almost finished painting one side of the house, as well as the internal trim on one side of the house, which sounds thoroughly boring, but is really ridiculously exciting. For me anyway! I really want to take some more shots of the house, because my last update was woefully inadequate, and will try to do that this week sometime. Aside from that though, our main goal is to get one room finished. Just one. Completely finished. Right now we're aiming for either the toilet or laundry. The smallest rooms. Aim low is our motto. In the meantime, the stars have aligned and both the kids are sleeping soundly at the same time, so a can of spray paint awaits me. Look out, random objects, you are on my radar. And, on a totally unrelated yet mortifying topic, a lady a playgroup today totally thought I was pregnant. She didn't even ask, she just assumed. Makes for awkward small talk, let me tell you.